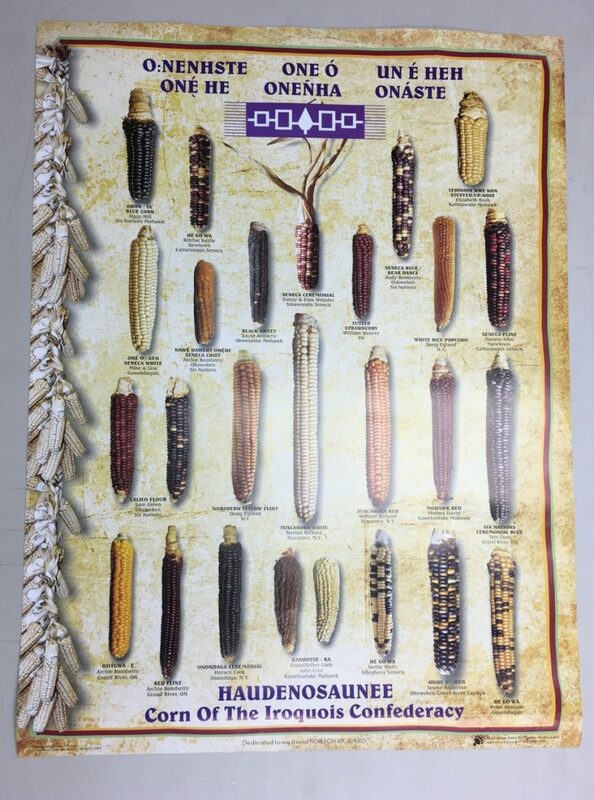 This poster gives an overview of the different types of corn of the Haudenosaunee (Iroquois Confederacy). 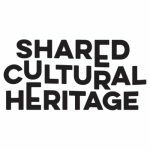 It’s by Steve McComber at Kahnawake. (www.silverbear.ca) and dedicated to his friend Norton Rickward. Called ‘Indian Corn’ by white settlers, the etymology of the word for corn might offer clues to its design and meanings. 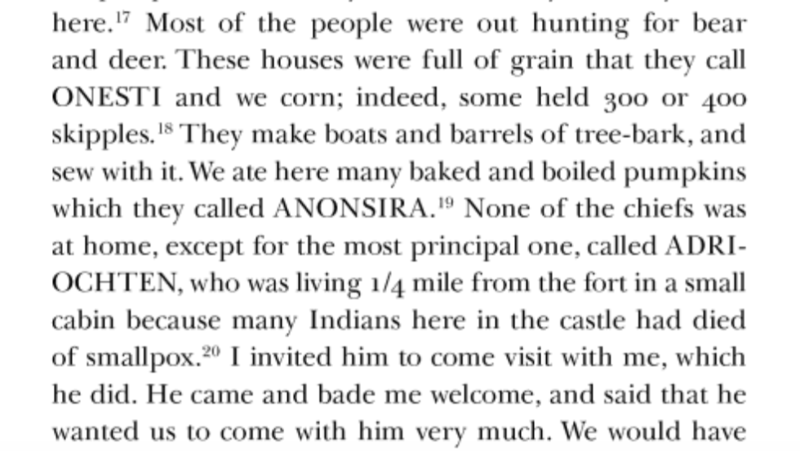 In A Journey Into Mohawk and Oneida Country, 1634-1635: The Journal of Harmen Meyndertsz Van Den Bogaert (revised edition 2013) the word for corn is ‘onesti’. This book is translated and edited by Charles T. Gehring and William A. Starna. 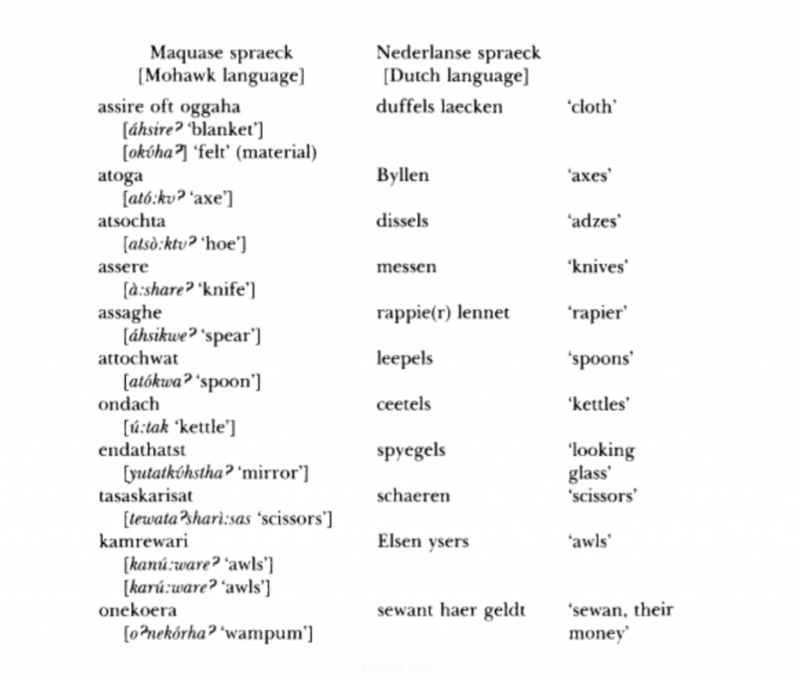 Wordlist and linguistic notes are by Gunther Michelson. 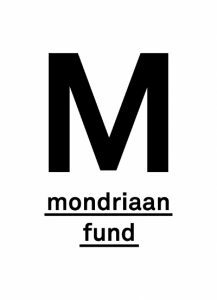 If we look at the etymology of the word corn in Mohawk, and compare it to Mohawk word for ‘wampum’ is ‘onekoera’ which Meyndertsz Van Bogaert describes as ‘sewant haer geldt’ in Dutch, translated it means ‘sewan, their money’ (sewan being the Dutch word for wampum). 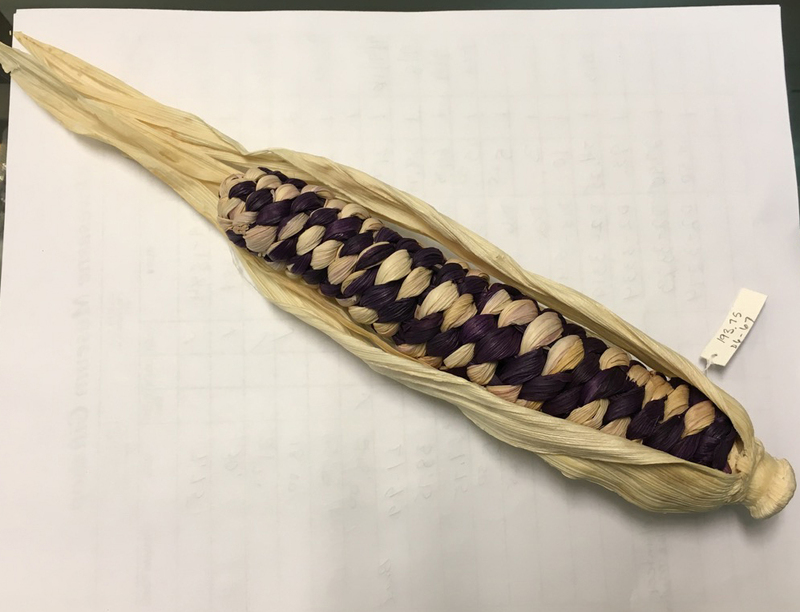 Does an ear of corn look like strung wampum beads?